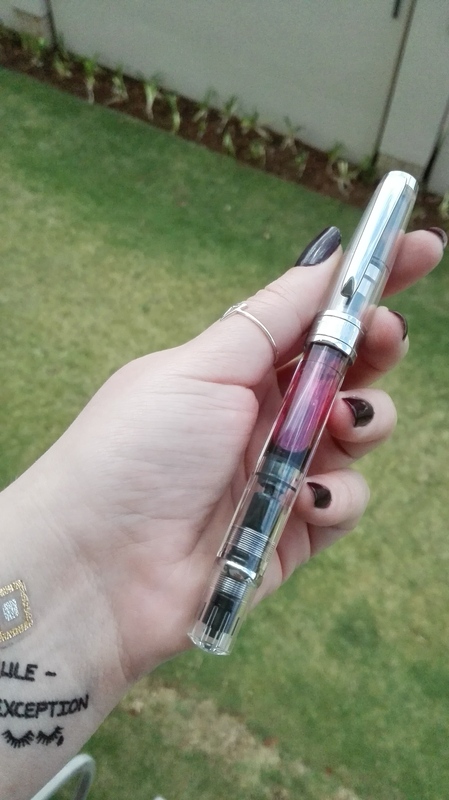 So i’v wanted a TWSBI for a while now – and I was really undecided about the mini, 580 or perhaps do a special order for the black and rose gold. 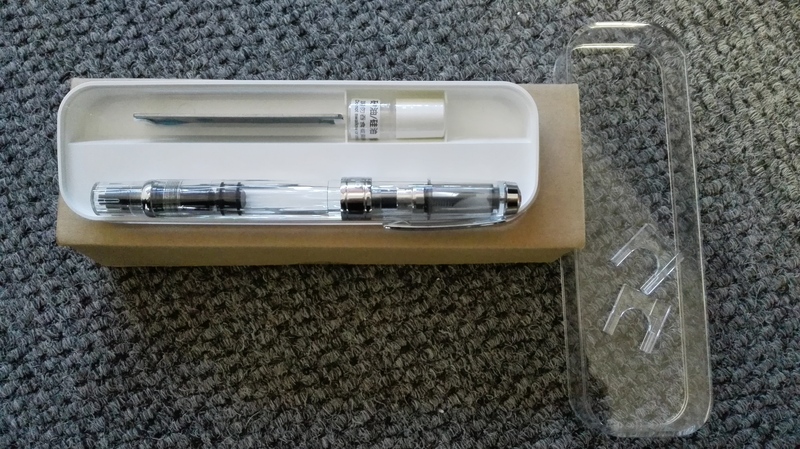 After reading lots and lots of reviews, and on a recommendation I decided to stick with the original demonstrator. 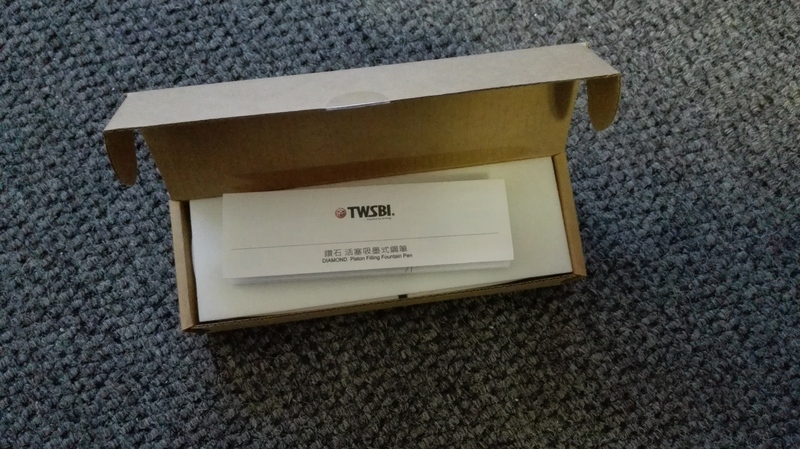 The pen comes in a very simple cardboard box, with only the TWSBI logo. No model name anywhere in sight. 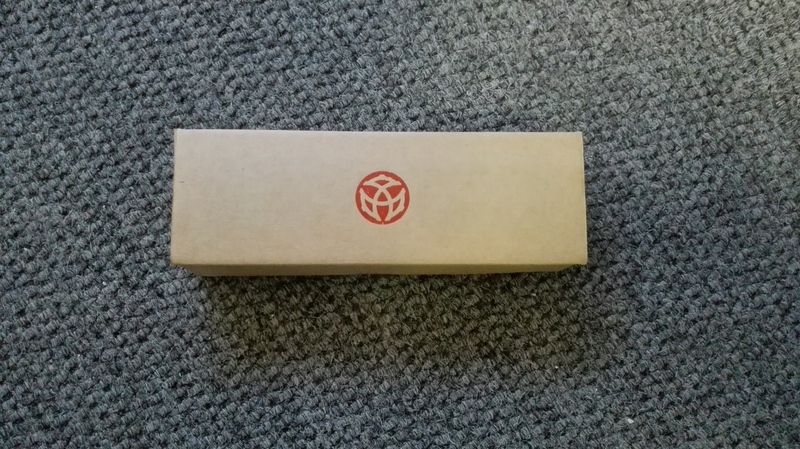 Inside said box the first this you see is the manual and underneath the manual is a clear rounded rectangle box with the pen on proud display. 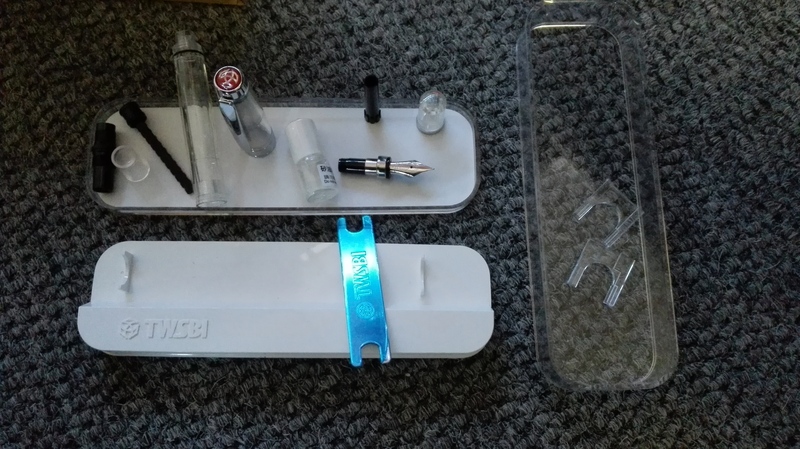 The pen is kept in place by two clips that slide into place, and prevent the pen from rolling around. Underneath the box you have a small bottle of silicon grease, as well as what i’m going to call a spanner/wrench. 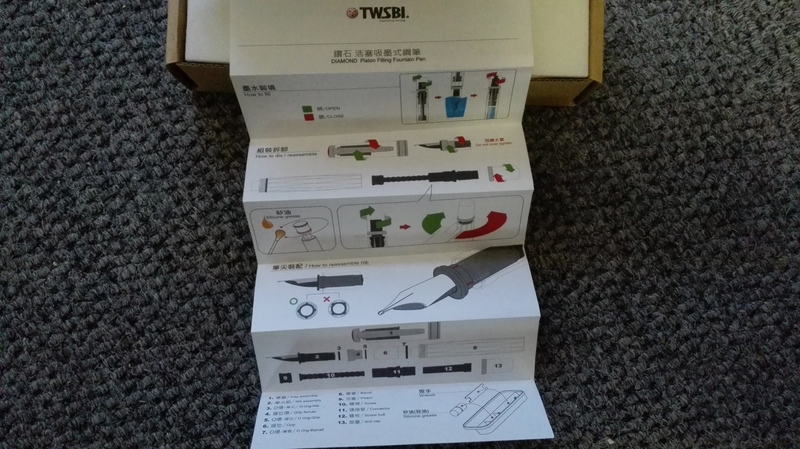 Secondly the first thing I had to do was take it apart… 🙂 I basically wanted to see how easily it was to assemble and re-assemble. It turned out to be really easy which is good because it makes it so much faster to clean out. This pen looks stunning – and the wow factor goes up even more when inked. 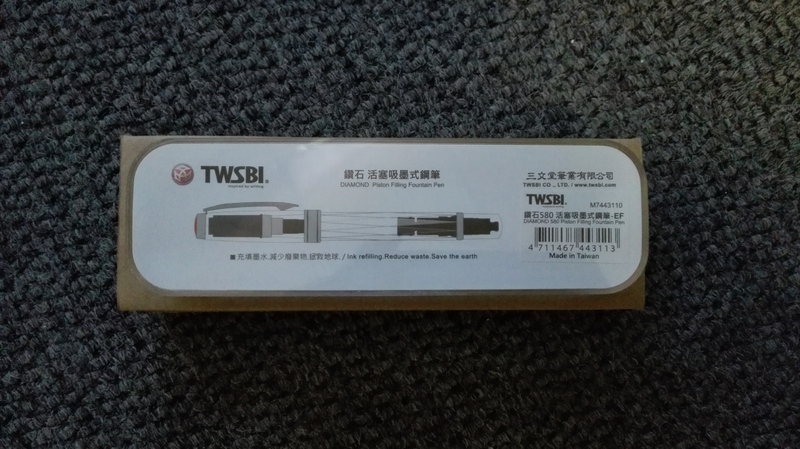 The nib also has some decorative scrolling and the TWSBI logo in the middle. I ordered the EF nib, and it is smooth with just a touch of feedback. 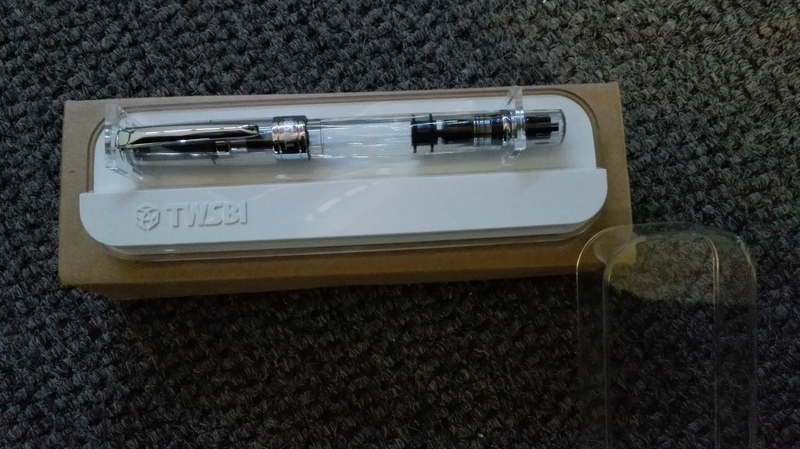 Very similar writing experience to my Edison pen perhaps a touch dryer, and slightly smoother then my EF Lamy. I have a feeling that this may end up becoming my daily writer. This pen is a piston filler – so only bottle ink can be used, which to me is a bonus but then again i’m not a huge fan of cartridges. It also has a rubber o ring near the nib, which with the cap insert acts as an extra seal against evaporation and leaking. 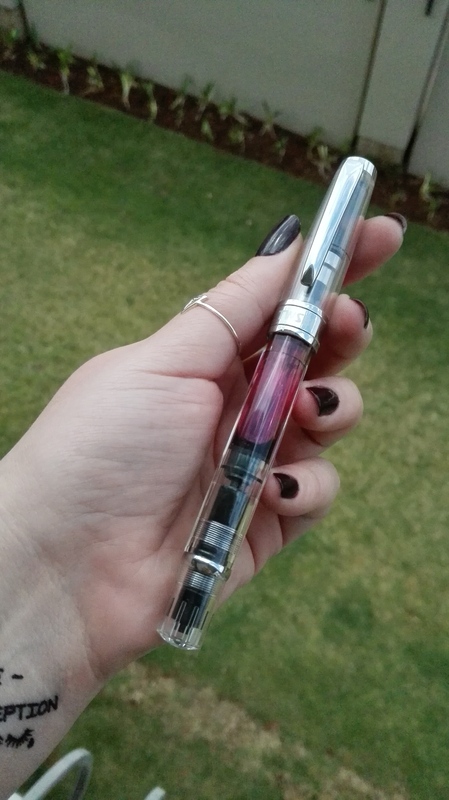 Super pretty, smooth nib, easy to clean, easily to take apart and put back together, piston filler and no dry starts as yet. And this is completely me but I love the fact that the ink does not show in the grip section – it stays visible only in the barrel area. 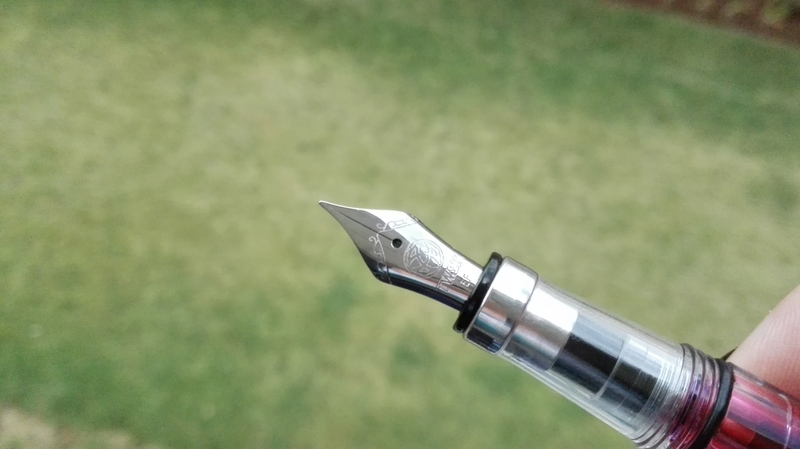 I have a pen where the ink is visible in the grip section, and although I thought it looked awesome when i first got it… now i just find it lacks finesse. When cleaning out my pen, I somehow managed to get water between the cap insert and the cap. Its been there a week, I cant for the life of me get it out. Help?? Getting the piston back into position for maximum ink capacity can also get a bit fiddly.